ACDN: How long have you been involved with your agency and a member of the Alliance of Career Development Nonprofits (ACDN)? Shanna: Shining Success has been open since March 2011. My first ACDN Conference was Fall 2010. Shanna: We are a very small program serving a rural area. We are located on the border of New Hampshire and Vermont and therefore work to engage partners and clients in both states. We recently moved and our new location is in our beautiful historic district. We are co-located with another local ministry and our space is connected to the space next door, which is a third local ministry. We all have different purposes, but we serve many of the same clientele and can greatly affect our community from our central location. A member of the Alliance of Career Development Nonprofits, and located in Claremont, New Hampshire. Shining Success is a member of the Alliance of Career Development Nonprofits, and located in Claremont, New Hampshire. Shanna: Working with clients at Shining Success humbles me. It’s easy to get a little caught up in “doing good” but the clients have such heart breaking stories of their pasts. And those stories are usually followed by courageous stories of how they moved forward. It’s our privilege that they have allowed us to be a part of their journey. Shanna: Being an Executive Director can get overwhelming... Like one of those circus acts that’s trying to balance all the spinning plates. Learning to ask for help is the key. Knowing I can contact any other member program is a huge help. Locally, joining my local Chamber of Commerce has opened doors for us to build a board and begin to find volunteers. ACDN: Tell us about your signature event. Shanna: We have held our "Cinderella Project" event for 7 years. 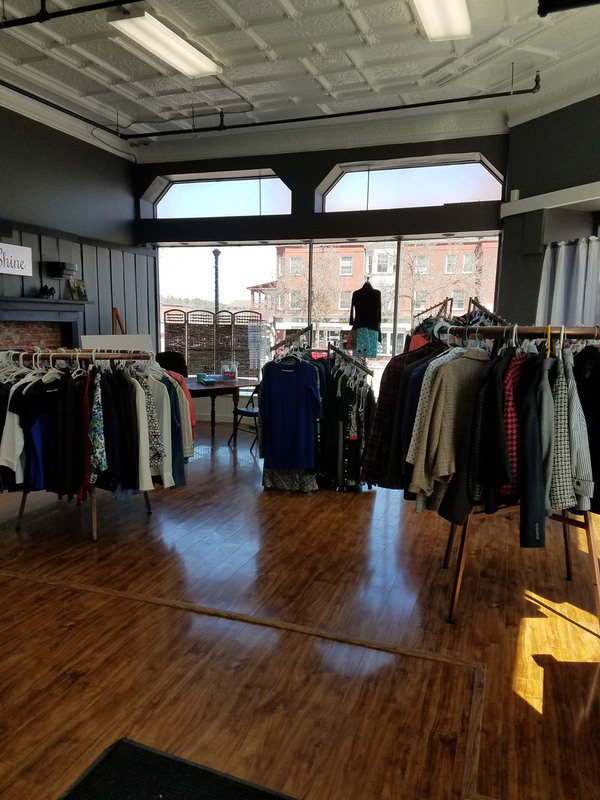 Held each Spring, we host a two day event where over 750 gently-used, formal gowns are available to the community for proms, college formals and semi-formals. This year, Moira, a girl who came to last year's fundraiser came back to speak to guests at this year's event. It’s easy to get too concerned about the number of dresses that go out the door but we have always said that if just one girl finds a dress, then we have done our job. As Moira spoke, she confirmed our thinking. She spoke about her life and the reasons she couldn’t afford to buy a dress. She expressed gratitude about our event and how well she was treated and she ended by saying: “The way I was treated made me feel worthy of the dress I was wearing.” Moira is taking both dresses with her to college this year. We are sure that the confidence she found goes with her as well because we strongly believe that there is power in a prom dress. 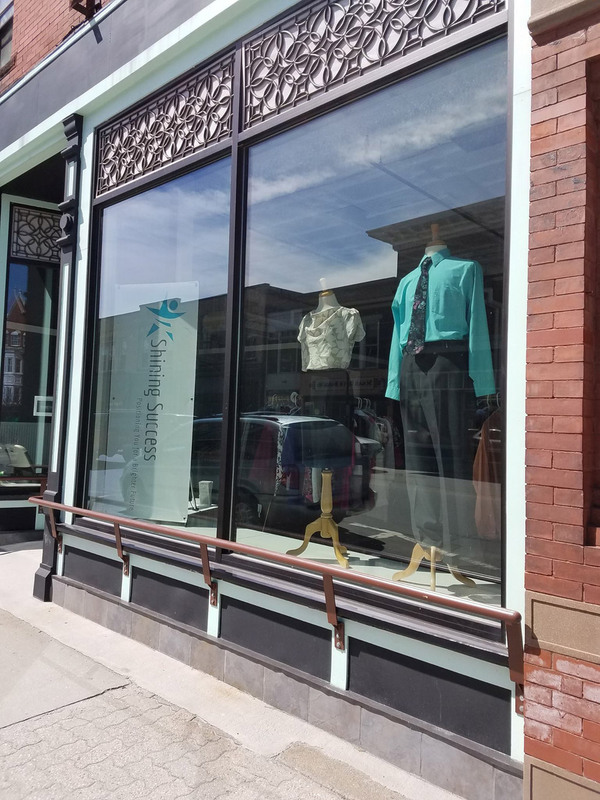 Shining Success is a member of the Alliance of Career Development Nonprofits, and located in Claremont, NH. Shanna: …have buying power for plus sized clothing and gain credibility by being a member of a national organization. It also enables us to visit wonderful cities and see fantastic closets at conference every year!! Shanna: ...Shining Success would not exist. ACDN was there for us before we even opened our doors. Every person is ready and willing to share knowledge and information. I love that there is no secrecy and that all the agencies are willing to help each other. It’s the support from all the other member programs that keeps our small program running.